King Krule is throwing some more weight behind his Mercury Prize-nominated album The OOZ. This time, it's via a new video for the LP's opening track "Biscuit Town." Directed by friends and longtime collaborators cc. Wade (a.k.a. 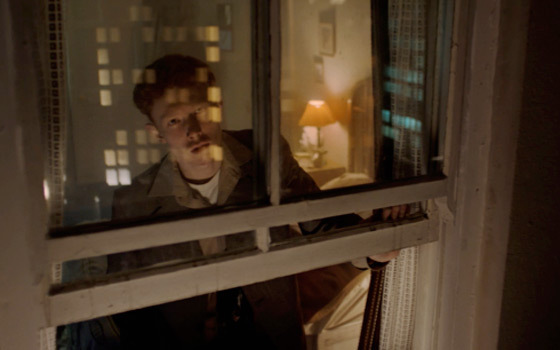 Michael and Paraic Morrissey), the video finds King Krule's Archy Marshall living in his own, well, "Biscuit Town." As a press release explains, we find him "waking up and retracing his footsteps through the city, piecing together the remnants of a hazy, half-remembered night before." It adds, "A reflection of his futuristic, jazz-inflected, film-inspired sound, the video serves to compliment the warm, dreamlike quality of 'Biscuit Town.'" Watch the video for "Biscuit Town" play out for yourself down below.